Home / Posts taggedSEO Article Writing"
Seo friendly articles writing can be done very easily. Are you much worried about Seo optimized articles for your website. You may be spending more time to prepare an article for publishing purpose. But after publishing if it does not listed in search results, the contents produced for the article may be not optimized for search engines. Here some tips are shared about preparing SEO Friendly Articles for your websites, blog publishing, press release submission etc. There can be many reasons for your article is not able to list in Google search results. Most of the time it may be connected with your website. Your website may not be optimized for search engines, or it may not have good Google page rank. For creating article seo friendly articles check if your website has good domain authority, page authority, trust value features. If not try to generate it. If your website already good number of back links from different websites, you may get good google page rank, authority values and trust which can make your articles seo friendly articles. But the point links to your website should be supplied from some quality websites. Quality websites means websites with good trust value, page ranks, good number of organic traffic etc. And there can be harmful effects for your website you got plenty of pointing links from very low quality websites. 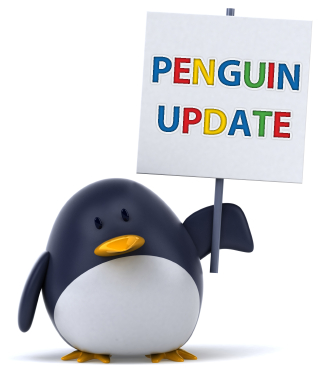 Google penguin algorithm update can find and understand that you have build back links from low quality websites, your website and punish for link spamming activities. Even I have used fear Google algorithm update as this paragraph subheading, there is no need to fear Google’s algorithm updates. Just understand why Google update algorithm. Since their main intention is to give high quality results in their websites, maintaining a high quality website is very important for getting search engine ranking.If this is implemented it can make your article seo friendly articles. 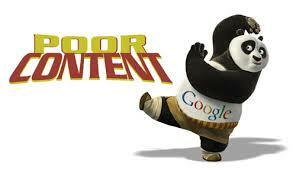 Google uses their algorithm updates named panda to avoid low quality content publishing websites and blogs. Google panda is able to find low quality contents, copied contents from other published websites etc. And Google panda is currently working as a permanent filter which will avoid low quality content crawled by Google bots. Follow these simple tips before your start writing SEO articles for your websites and blogs. Don’t under estimate Google. Understand what are the main intentions behind Google’s algorithm updates. They have already mentioned in their webmaster central blog and webmaster tools videos that the wish to list high quality results for their search engine users. So try to maintain google quality in contents used in websites, blog articles. Prepared your SEO content in a manner that your users will definitely love it. Arrange the SEO contents in manner to easily read, follow and understand. Try to cover following tips connected with preparation of any seo article which make it seo friendly article. Keyword research is an unavoidable part in SEO. Conducting effective keyword research and finalizing most potential keywords can help your published article list in different keyword matching, possible to list long tail keywords etc. While conducting keyword research don’t focus on a single keyword of key phrase. Try to find out related keywords suggested keywords from Google and most useful convertible keywords which tends to make seo friendly articles. Before start writing a SEO optimized article, conduct a detailed research and grab maximum knowledge on the topic. Cover maximum depth to develop useful article content needed for users. Try to add maximum stuff inside your article content. Your article will get a continuous life if your content is made in lovable and acceptable way and it will come among seo friendly articles. Your article can not be listed in Google for any focusing keyword if do not used the focusing keywords inside the article body content. But over usage of focusing keyword in content can also bring negative marks.So use the focusing keyword in your article within a limit then you can make your articles seo friendly articles. Understanding the purpose of article is very important in content writing. Know what message the article needs to convene. Content optimization is an art in SEO. Preparing seo friendly articles has its high role in content optimization. Well optimized contents are capable generate tons of visits if it contains values. The article you prepared may be published on an informational website or blog posts or news page, so the sentences need to be easy-to-read. If the article is able to engage more audience in the published pages, the published page will get more trust values. 1) The “keyword” provided should be used as the title AND the topic/theme of the article. Assume that the reader most likely found this article by typing in the “keyword” or a variation of it into the search engine, thus the content of the article should satisfy the readers query and answer the questions (directly or indirectly) that he/she might be thinking. 2) Do not optimize the article for any particular keyword and avoid using the exact title in the body. Write naturally for the readers, not the search engines! 3) The article must have a strong introduction paragraph. This first paragraph should be the most important paragraph in the entire article. First paragraph is the place where all the assertions pertaining to the topic are introduced. 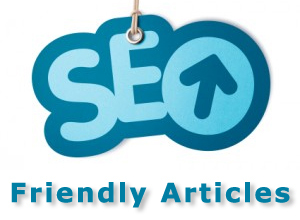 It plays an important role in making seo friendly articles. A reader should be able to determine what the article is going to cover just by reading this. 4) Article should have a proper conclusion paragraph that sums everything up. 5) The article needs to have at least 1 bulleted or numbered list. 6) The article must have at least 4 subtitles relevant to the content that follows. 7) The article must be written mostly in first and second person narrative (with an active voice and present tense). The tone/style should be personal/conversational in order to build trust with the readers. I should be able to pick up some of your personality from reading your writing. Be creative with the topic and input some of your own thoughts/ideas – don’t submit generic content that’s already plastered all over the web. 8) Make sure that the article is informative, fun/easy to read, and flows naturally. Avoid lengthy sentences, or multiple sentences, that can be summed up with a single, concise one. 9) Keep paragraphs short (maximum 2-3 sentences per paragraph). Separate your ideas. It’s much easier to read this way. 10) Do not submit to me a re-write of an article that already exists on the web. The article must be unique AND original (include your own thoughts, personality, and ideas, don’t just write like a robot). It will adversely affect in making seo friendly articles. If I recognize the article as a rewrite of an existing article that I’ve read before, I will not accept it and you will receive a bad rating for not following clear instructions. 11) Use at least 3 or more sources when doing your research and *list the sources* used at the bottom.It will help in constructing seo friendly articles. 12) Go through this checklist again and double check to make sure you’ve followed 1-11 correctly. I recommend writing the article as if you are speaking to someone. Because this style will naturally interest and benefit the targeted readers. Please *double check* your article before submitting to make sure it’s unique and does not contain any grammar mistakes. I will not accept any article that is spun, contains grammar mistakes, lacks quality information, fails to follow *any* of the above guidelines, or is plagiarized/rewritten. If your articles are approved, but problems arise down the line, you will most likely be blocked from seeing any future projects. Failure to follow guidelines will result in wasted time for both of us. I look forward to reading your finished work. Thank You and Good Luck!